Tiger Woods authors a comeback for the ages at the Masters. Russell Wilson signs a record contract to remain the Seahawks’ quarterback. And the Golden State Warriors fall victim to a record comeback in the NBA playoffs. Those are the big stories sports editor Josh Smith, city editor Allen Etzler and host Greg Swatek tackle this week on Just Another Sports Podcast. First, Greg and Allen share what resonates the most to them about the Tiger comeback story. Then, Josh joins the discussion to talk about Russell Wilson’s contract extension and whether the Seahawks’ were wise to offer their quarterback $140 million dollars, including $65 million guaranteed, over 50 years under the auspices of an artificial deadline imposed by Wilson and his agent. They also discuss how vulnerable the Golden State Warriors may or may not be following their 31-point meltdown against the Los Angeles Clippers in Game 2 of their playoff series and the serious injury to starting center DeMarcus Cousins. Plus, the guys banish more people, including a certain Commander-In-Chief, to the Boat to Nowhere and Allen offers some good insights on his lengthy profile of local MMA fighters that appeared in the FNP sports section last Sunday. 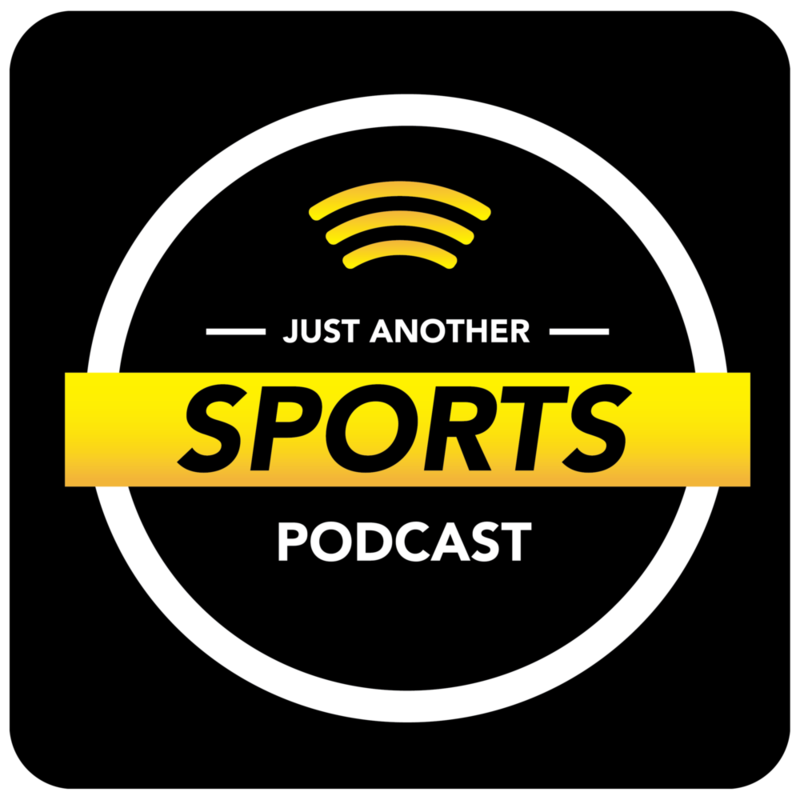 This week on Just Another Sports Podcast, sports editor Josh Smith and host Greg Swatek are joined by Greg’s younger brother, Brian, who experienced Final Four weekend in Minneapolis as a sports marketing representative for Under Armour. Brian talks in depth about the perks of his job and some of the cool places he gets to go and some of the cool people he gets to meet. He shares a story about a random interaction he had with Tom Brady at a company Preakness party. But, as Under Armour’s basketball representative for both Auburn and Texas Tech, he mostly talks about his experience at the Final Four, some of the cool things and the interesting people he got to meet in Minneapolis, and the highs and lows he experienced with both of his teams. The guys also touch on Masters weekend, the total dysfunction with the Lakers and the latest tirades from Antonio Brown. Plus, a new twist is introduced for the ever-crowded Boat to Nowhere. The Orioles are off to a surprisingly good start. Bryce Harper returned to D.C. as a Phillie. And Zion Williamson and top-seeded Duke are out of the NCAA tournament. Those are among the topics sports editor Josh Smith, city editor Allen Etzler and host Greg Swatek tackle on this week’s episode of Just Another Sports Podcast. How much stock, if any, can be placed in the Orioles’ hot start? Bryce Harper gets booed out of Nationals Park in his first game against his former team. This surprises Greg, who was among those in attendance. And Duke becomes the latest high-profile casualty in the one-and-done era. How many players can you name in this year’s Final Four? And how much appeal does the tournament lose now that Zion is out of the mix? Plus, Josh, Allen and Greg reflect on the amazing Virginia-Purdue tournament game last week and toss more people on the Boat to Nowhere, including a forever-slumping Oriole and a perfectly polite and well-meaning NFL quarterback. In this special episode of Just Another Sports Podcast, host Greg Swatek and sports editor Josh Smith talk with guest Adam Kilgore about his job as a national sports reporter for The Washington Post. The Pulitzer Prize-winner discusses the impact of star tight end Rob Gronkowski's retirement from the Patriots, a team Kilgore covered closely during their recent run to the Super Bowl championship. He gives his take on how long New England's NFL dominance can last and discusses the morning-after web story he wrote that analyzed, with incredible depth, just how the Pats shut down the Los Angeles Rams' high-powered offense to win their sixth title. Previously the Post's Washington Nationals beat writer, Kilgore talks about the paper's coverage of Bryce Harper's free agency and tells the guys what he thinks is the coolest part of being a sportswriter. Also, Greg and Josh give an NFL quarterback his ticket to the Boat to Nowhere and recap some of their favorite moments from the first week of the NCAA tournament. Is Mike Trout’s new $430 million actually a bargain? Has LeBron James’ time as a dominant player come to an end? Is Robert Kraft making sound legal decisions? Those are prime topics batted around this week on Just Another Sports Podcast. For the second consecutive week, FNP managing editor Chris Kinsler joins sports editor Josh Smith and host Greg Swatek to share his insights. What does Trout’s new deal with the Angels say about Bryce Harper and the record deal he recently signed with the Phillies? Can the mismanagement of the Lakers be turned around with LeBron on the roster? And how confident should Kraft be that he can successfully fend off prostitution charges? Plus, there is some bracket talk and more people are being thrown onto the Boat to Nowhere. After the Cleveland Browns turned the NFL upside down with the trade for Odell Beckham Jr., longtime fans of the team, Chris Kinsler and Greg Swatek, react on this week’s episode of Just Another Sports Podcast. Chris, the FNP’s managing editor, and Greg, the podcast host, contemplate a world with sports editor Josh Smith where the normally sad-sack Browns are expected to compete for championships. They talk about how unimaginable this would have all been less than a year ago and how the team will manage its newfound status as league media darlings. Plus, will the Raiders be a factor with Antonio Brown on their roster? Are the Warriors vulnerable to the Houston Rockets? Should the Lakers trade LeBron James? And who is being thrown onto the Boat to Nowhere? Bryce Harper signed a record contract with the Philadelphia Phillies, the season has completely fallen apart for LeBron James and the Lakers, and Kyler Murray darted up draft boards at the NFL combine despite interview sessions that were reportedly less than stellar. Those are the chief topics sports editor Josh Smith, city editor Allen Etzler and host Greg Swatek discuss on this week’s episode of Just Another Sports Podcast. Were the Phillies smart to lock in for 13 years and $330 million with Harper? Does his signing the richest contract in baseball history significantly alter the balance of the National League East or change the fortunes for the Washington Nationals that much? What will happen with the Lakers now that it seems likely they will miss the playoffs? And is taking Murray with the No. 1 overall pick the no-brainer selection of the upcoming NFL draft? Plus, Greg shares his experience behind the scenes at ESPN’s popular program, Pardon The Interruption. Should baseball change, will local pitcher Kline make the O's roster, and how will Kraft be disciplined? On this week’s episode of Just Another Sports Podcast, sports editor Josh Smith, city editor Allen Etzler and host Greg Swatek take on Robert Kraft’s stupidity for getting caught up in a prostitution sting, Bryce Harper’s never-ending free agency and how much or how little baseball should really change. The guys express their utter lack of surprise that the longtime owner of the New England Patriots and one of the leader’s of the NFL’s good-ole boys network was charged late last week with soliciting a prostitute. The question now is what the NFL will do to discipline Kraft? Why is Bryce Harper still a free agent and what is stopping him from signing a lucrative contract with spring training well under way? And how much can baseball really afford to change to appeal to new fans without losing it’s identity. Plus, are LeBron and the Lakers going to miss the playoffs? And will Thomas Johnson High School graduate Branden Kline start the baseball season on the Orioles’ roster? Machado to the Padres, Kaepernick's settlement and should Zion shut it down? In a week full of sports news, FNP city editor Allen Etzler joins sports editor Josh Smith and host Greg Swatek on this episode of Just Another Sports Podcast. The guys react to Manny Machado signing with the San Diego Padres, Colin Kaepernick’s settlement with the NFL and Jim Boeheim’s car accident that resulted in a fatality. They also ask whether Bryce Harper is simply asking for too much money over too long a period of time and whether Zion Williamson should ever play another basketball game for Duke. Plus, who is being thrown onto The Boat to Nowhere? And how did Josh feel about his trip to the Happiest Place on Earth? Kareem Hunt is back on an NFL roster. Spring training is underway, but Bryce Harper and Manny Machado are still unsigned. And who is most deserving of the NBA's MVP award? Those are the primary topics sports editor Josh Smith and host Greg Swatek dive into on this week's episode of Just Another Sports podcast. How does Greg feel about his Cleveland Browns signing Kareem Hunt while under league investigation for assaulting a woman? And how does Hunt's case differ from Colin Kaepernick's and Ray Rice's? Plus, will Bryce Harper and Manny Machado know where they will be playing by opening day? Will the Orioles be the worst team in baseball this season? And who is being thrown on the Boat to Nowhere that Colin McGuire is now captaining? On this week's episode of Just Another Sports Podcast, host Greg Swatek, sports editor Josh Smith and staff columnist Colin McGuire discuss whether the Super Bowl was as much of a bust as Maroon 5's halftime show. They also open Medusa's Box for the debate about whether Patriots receiver Julian Edelman could be a Hall of Famer. They try to determine if the radical rules changes proposed for Major League Baseball could actually make the game more popular and go over some of the biggest deals of the NBA trade deadline. Finally, and (mostly) sadly, Greg and Josh send off Colin — who is stepping away from the podcast — by making him the skipper of the Boat To Nowhere, where he'll first toss a few occupants into the shark-infested waters before sailing into his new job at the News-Post. With spring training just two weeks away, Bryce Harper and Manny Machado are still looking for teams to play for this season. On this week’s episode of Just Another Sports Podcast, sports editor Josh Smith and host Greg Swatek discuss the unusual free agent market in Major League Baseball. As teams pull back on their spending in a major way, more and more good players are being left without contracts. Teams aren’t that urgent about winning now. Is this healthy for the sport? Josh and Greg also discuss this Sunday’s Super Bowl, the Anthony Davis trade rumors, whether Roger Federer will be remembered as the greatest tennis player ever and if Bradley Beal is the Wizards’ best player. Playing shorthanded without sports editor Josh Smith, features editor Colin McGuire and host Greg Swatek are left to pick up the slack on this week’s episode of Just Another Sports Podcast. Greg and Colin discuss Clemson’s beat down of Alabama in the national championship game and what it means for college football. They also discuss the NFL playoff picture and play buy-or-sell with the latest NFL coaching hires. Plus, Colin offers his lock of the week, Greg provides his upset special of the week and who is being thrown upon the Boat to Nowhere this week? Among the topics discussed on the first episode of Just Another Sports Podcast in 2019: Has Antonio Brown worn out his welcome with the Steelers? Are the Ravens poised to make another run to the Super Bowl? Are the Eagles serious contenders to repeat as Super Bowl champs? Plus, the appeal — or lack thereof — of this year’s college football national championship game is addressed. More loathsome sports figures are banished to a life a sea, never to be heard from again, and the life and career of the great Gene Okerlund are remembered. Sports editor Josh Smith, features editor Colin McGuire, host Greg Swatek and special guest Chris Sands of The UnCapped Podcast guide you through these assortment of topics. Buy-or-Sell? Are the Patriots and Rams still threats to reach the Super Bowl? As 2018 comes to a close, several new ideas are born on this episode of Just Another Sports Podcast. What loathsome sports figures would you want to put on a boat and watch them sail away, never be heard from again? What teams would you choose to play in the inaugural Just Another Sports Podcast Bowl? And in Buy-Or-Sell, are the New England Patriots and the Los Angeles Rams still threats to reach the Super Bowl this season? Sports editor Josh Smith, features editor Colin McGuire and host Greg Swatek guide you through these and the usual assortment of weekly sporting topics. Plus, what is on their Christmas wish list for their favorite teams? After a weekend of wild and head-scratching results, the NFL playoff picture is slowly coming into focus. On this week’s installment of Just Another Sports Podcast, sports editor Josh Smith, features editor Colin McGuire and host Greg Swatek discuss the can-you-believe-that-just-happened finish to the Dolphins-Patriots game and whether the Vikings were smart to hand Kirk Cousins the big contract he seemed destined to get. They also question how Harold Baines got elected to the baseball Hall of Fame and whether the right quarterback won the Heisman trophy. Plus, Colin shares some details from his trip to Salt Lake City.